Elements Lounge: The New Hang-Out Rental Spot! My friend Nidhi Bedi is at it again! Not only does she run Elements Event and Conference Centre and A Brides Mafia and Elements Limo… but now she’s adding another fabulous feature to her cap! She just opened the doors to the brand new “Elements Lounge,” which is a chic new small event space and lounge located right next to Elements Event and Conference Centre in Sharonville. It’s perfect for baby showers, luncheons, small business gatherings, cocktail parties, anniversaries, birthday parties, and fun things like that! Nidhi said she wanted to open this space because you don’t always need a big 200-600 Event and Conference space. You often just need a place to hold a handful of people that isn’t a busy bar or noisy restaurant. But you can get all the drinks and food you want there because Elements can bartend and cater for you! Perfect-o! Click here to learn more about the new Elements Lounge or contact Nidhi to book it if you need a space for your next gathering! Elements Hummer Limo Service – $100 Off! Me and my staffers Stephanie and Drew in the limo on our way to Krombholz Jewelers! As of today, it’s officially summer! That means summertime concerts as well as weddings and bachelorette parties galore! So, I thought I’d tell you about THE best limo service I’ve ever used! It’s through Elements Limo Service (Elements has an event center up in Sharonville, too) and I used them for our Cincy Chic anniversary outing with my staff last year! We all parked and met at the Levee and then the limo picked us up and took us to a surprise location (it was to Krombholz Jewelers where they all got gift certificates and had the place to themselves to shop!!). 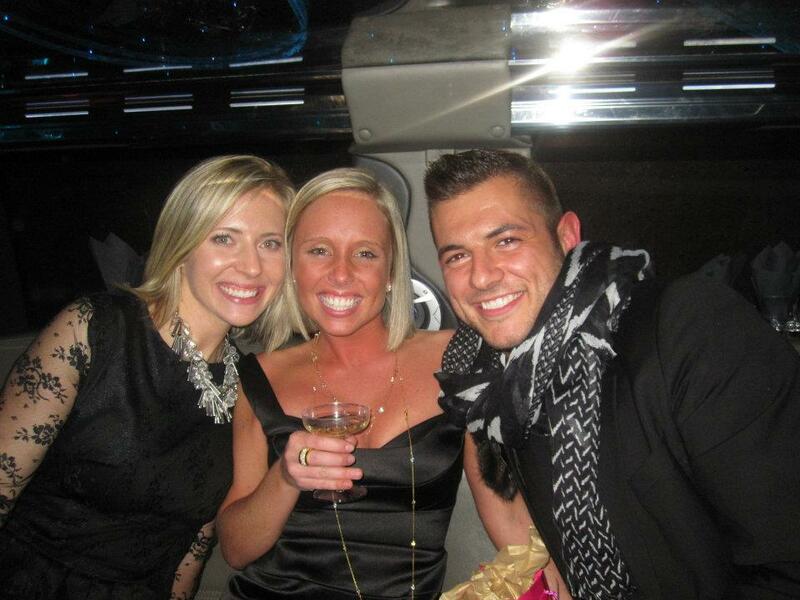 Then the limo took us to dinner and then back to our cars at the end of the night! It was perfect! 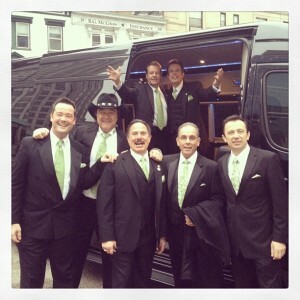 My hubby and his Italian buddies getting out of the limo! 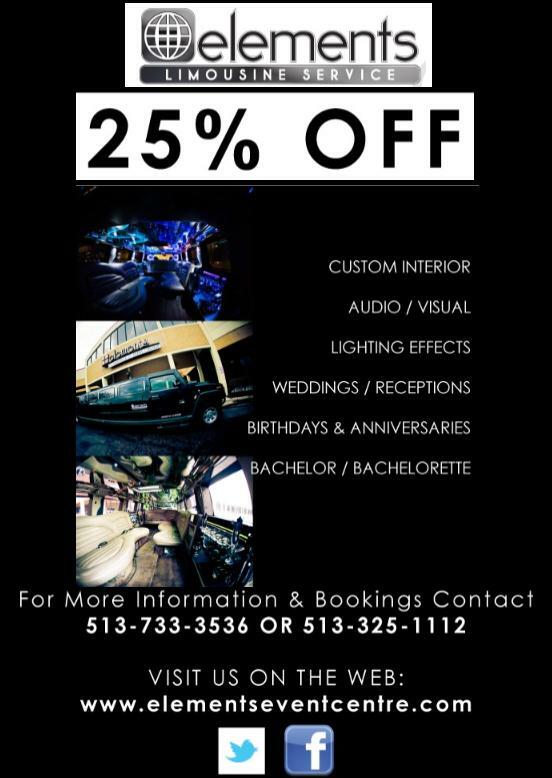 So, if you have any kind of special occasion coming up where you’d like to arrive with your friends in style – for anything from a night out on the town and birthday parties to bachlorette/bachelor parties and weddings – definitely give my girl Nidhi a call. She was voted in to be one of Cincy Chic’s “Women of the Year” last year in the social department, so I’m not the only one who thinks she’s fabulous! 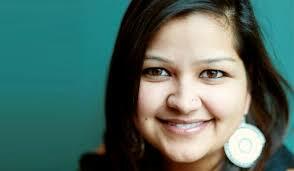 One of my dear friends Nidhi Bedi (we recently featured her here in Cincy Chic!) is hosting a HUGE bridal event on Nov. 14. It’s called “Afterhours” because it’s a more relaxed approach to meeting with and learning about local bridal vendors (think less bridal expo and more cocktail hour). At past Afterhours events, she’s attracted more than 1,500 attendees and she expects to do the same at this event. So it’s a big party and you leave with lots of new connections to make the day of your dreams come true! Below is the event invite and press release if you’d like to learn more! Also, on a related but unrelated-to-weddings note: Nidhi runs the Elements Conference Events Center and she just told me that she’s looking for non-profit organizations who need a place to host their fundraising events. She is donating the event space to 10 charities, so contact her if you’d like to be one of them: nidhi@elementseventcentre.com. She’s AMAZING to work with!! Cincinnati, Ohio – A mob of matrimony experts will help more than 1,500 local brides-to-be plan their special day. 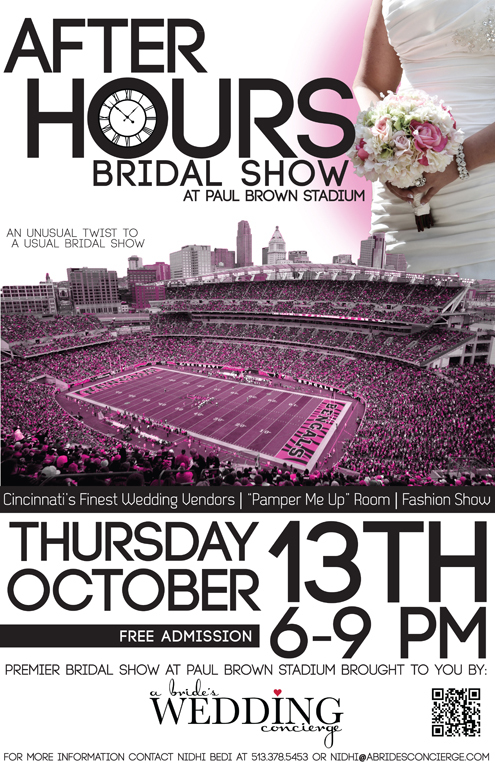 A Bride’s Mafia will host its fifth annual Afterhours Bridal Show at the Music Hall on November 14 from 6-9pm. This free event is designed for engaged couples and their families to meet and greet with more than 75 premier local wedding vendors in a fun, social setting. Both brides and grooms are encouraged to attend, as the event will feature a service called the “game plan,” which gives grooms advice on how to make their wedding day special. For the brides, the event will feature two pampering rooms that brides and guests can visit to receive complimentary hair, nail, and makeup treatments as well as free massages to ease their wedding planning stress. 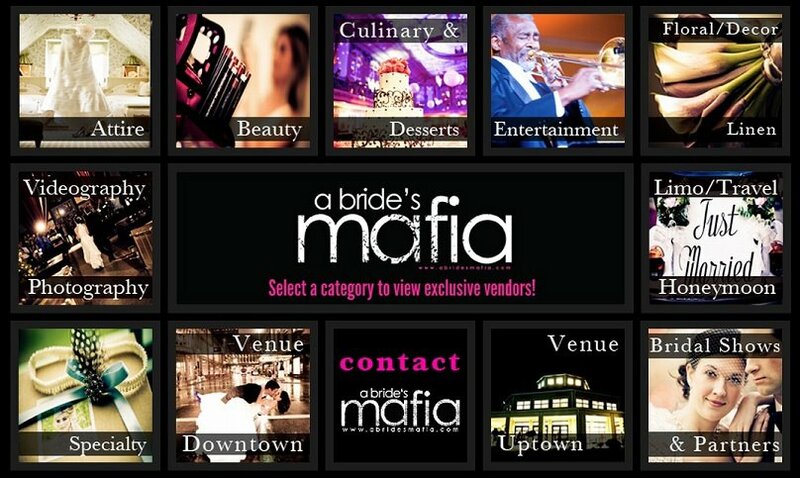 Those interested in learning more about the Afterhours Bridal Show or A Bride’s Mafia can visit http://www.ABridesMafia.com or www.facebook.com/ABridesMafia. My friend Nidhi Bedi, who owns Elements Event Centre, A Bride’s Concierge, Black and White Exchange (and who knows what else! Haha!) is putting on this event and it sounds like so much fun! Mark your calendar!